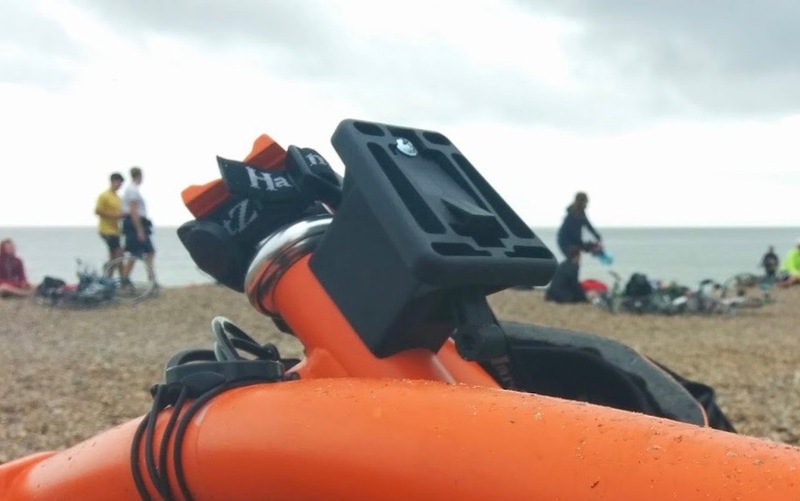 The last Dunwich Dynamo I took part in was back in 2017. On the Canary Wharf Winter Lights ride I got thinking (for some reason) about the Dunwich Dynamo and whether I would do it this year. I skipped last year for a number of reasons. The first was that in 2017 I travelled back from Dunwich by train which was okay. I hoped to do the same in 2018. I therefore didn't bother to buy one of the coach tickets that go on sale around now at an early bird price and then increase a few weeks later. Unfortunately, the train company decided to have a blanket ban on all bicycles during the weekend of the Dynamo for 2018, so I missed the boat. When I got home from the ride on Friday I had a look to see if coach tickets were available and they were. Before going to sleep I decided that I would have a think about it and essentially sleep about it. Saturday was quite a busy day but thoughts of the Dynamo were never too far away. Now, if you have ever read my blog posts about the Dunwich Dynamo (link to them all below) you will know that I have a little bit of a love / hate thing going on with it. I like the ride to the coast but loath the coming home. The coach journey I have never particularly enjoyed. By the end of Saturday I had pretty much made up my mind that I wanted to do the Dynamo. The date is the weekend of the 13th - 14th July which date-wise okay for me. With a coach ticket in the basket I pressed the button to buy and it was mine. Sadly, it looks as if I may well be doing this ride on my own as early indications seem that a few people cannot do it this year. I will still do it and I suppose with a ride like the Dunwich Dynamo you are never too far from another cyclist. I will have to get in a little bit of training from now until July. The night rides to the coast will of course help. I also think that this year at least, I am going to be riding my Brompton a great deal more. 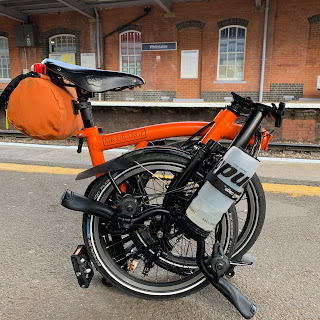 I have a few rides in the pipeline and already I am thinking of the Brompton rather than my original thoughts of bigger wheels. When you say blanket ban on bikes on the trains, surely a brommie is just hand-luggage? I mean, you can take a brommie on any tube or train at any time of day or night as long as it's folded. Although, I don't often anymore, but in my experience, as long as folded, it's no longer a bike. I've never done this ride, but I'm very tempted to have a go on my M6L this year. I wonder much rest before perhaps riding back to Cambridge for the a train.